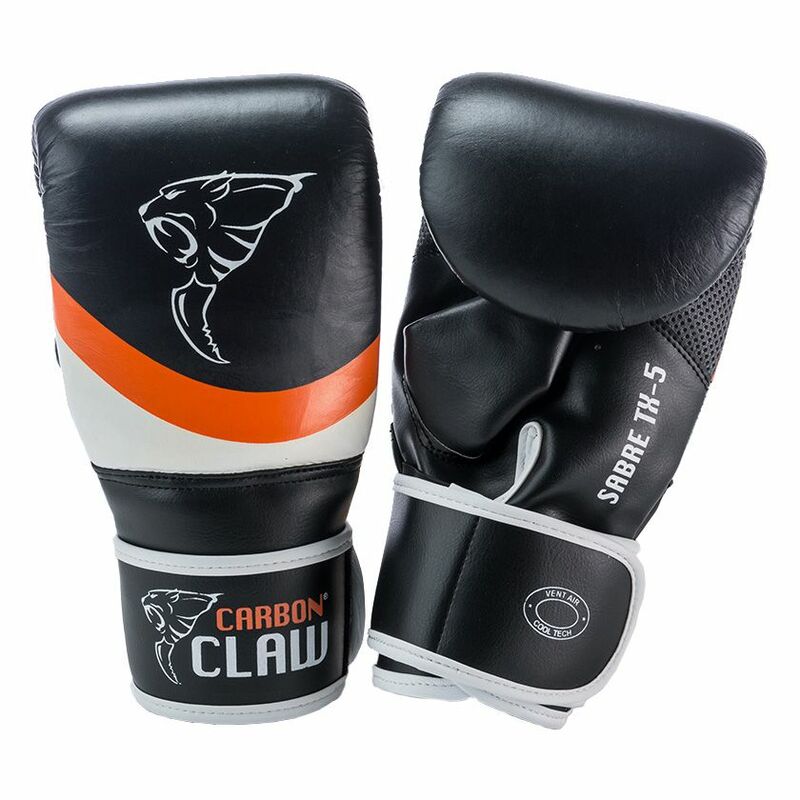 Train against punch bags or target pads with comfort and protection, with the Carbon Claw Sabre TX-5 leather bag mitts. 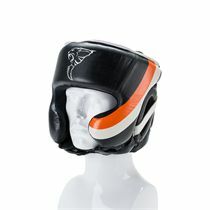 The boxing gloves are filled with shock-absorbent foam padding to shield hands, fingers and wrists. 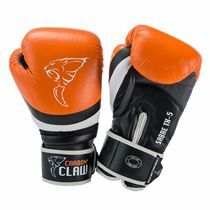 They are made from leather with synthetic materials on the palm, keeping them light but strong. 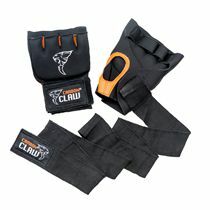 There is a built-in grip bar in each glove for more support and the elasticated wrist strap features a hook and loop closure that ensures an adjustable, secure and comfortable fit. The mesh palm lets air circulate through the boxing mitts better and the moisture-wicking anti-microbial material helps hands stay fresher for longer. 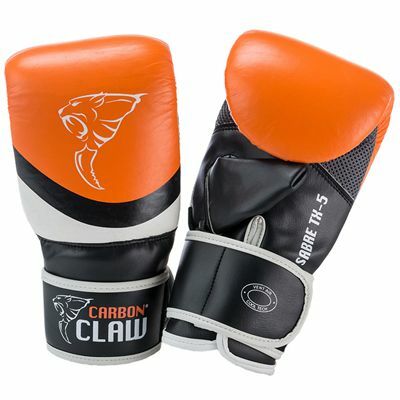 for submitting product review about Carbon Claw Sabre TX-5 Leather Bag Mitts.